Mandarin Orchard joins in the Mid-Autumn festivities with a line-up of old favourites and new flavours. Their savoury baked mooncake with mixed nuts and Jamon iberico ($67/4 pieces) makes a come-back. 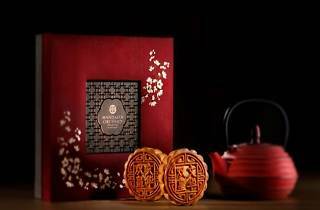 The health-conscious can opt for the low sugar content baked mooncake with macadamia nuts ($60/4 pieces) or the baked mooncake with azuki red bean paste and pine nuts ($60/4 pieces). Snow skin mooncake fans, look out for their new red wine cranberry paste and yuzu lemongrass mooncake ($56/8 pieces), a refreshingly good combination with a citrussy zing. Also making a return is the lychee martini and chocolate mooncake ($56/8 pieces), which was a treat with a strong kick of alcohol. Get them in custom-designed gold-latticed gift boxes, a perfect gift for Mid-Autumn Festival. 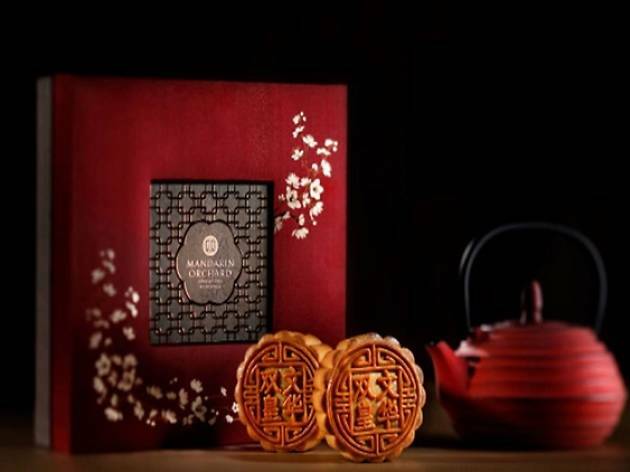 The mooncakes will be available at Mandarin Orchard's Deli Counter at the lobby (Aug 19-Sep 27), as well as mooncake booths at Takashimaya (Aug 27-Sep 27), JEM (Sep 14-27), Junctiom 8 (Sep 14-27), Northpoint Shopping Centre (Sep 14-27) and Tampines Mall (Sep 14-27). Present your credit card during purchase to enjoy discounts of 15-20 percent off, and 20-25 percent off if you order between Aug 19-27.